Published on November 13, 2012 in Android. As most of you know Google have changed their policy lastly. They have enforced advertisers to follow their rules. Most importantly if you want to use notification or icon ads in your app you must display opt in/opt out information. Without it your app may be removed from listing for breaking Google Play Developer Program policy. Published on September 11, 2012 in Android. The roaring success of both Google and Apple App stores have opened up a whole new vista of opportunities for developers and designers. But only a few of all people who jump into the app developing business actually taste success. If you want your app to be successful, there are some key aspects you should devote you utmost attention to. Tags: Android, design, howto, template. Published on August 7, 2012 in Android. Ads must not simulate or impersonate system notifications or warnings. It was my first thought as well. The end is coming. 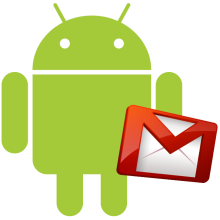 But some people on the Android forums and some mails I have exchanged made me wonder about intention of Google. Did they written that notification Ads are forbidden or...? Lets look on the content policy a little closer. Tags: ads, Android, Google Play, policy. Published on April 20, 2012 in Android. If you want very short answer I can tell you on the beginning on this post. Yes! It is definitely worth to implement LeadBolt on your Android apps! I was very afraid before done it and had a lot of doubts. I was afraid of reaction of my users. I was afraid of bad comments. I was afraid of loosing downloads. After some experimenting now I know that there is a bad and good way of doing it. Moreover at all I have tripled my daily income from ads. Tags: ads, Android, leadbolt, revenue. Published on February 18, 2012 in Android. Last week I was very surprised when clicked a link to create Google Checkout account and found my country on the list - as till then Poland has not been officially supported. We have been allowed to add free apps to Android Market but could not sell anything! I have immediately filled all forms and registered account on my country with my legal business name and address. Unfortunately I could not add my bank account number as it was not accepted by the form. I could not find any official news anywhere on the Internet about new countries. Moreover message asking me about my AdSense account number has been popping up on my Android Market console. Tags: Android Market, Czech, Google Checkout, Merchant, Paid Apps, Poland. Published on August 8, 2011 in Android. 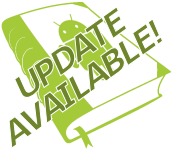 As I have promised to all my eBook readers updated version of my "Make Money on Android" marketing guide is ready. Just from now it is available in the download area for all of people who already bought it (under same link that has been provided after paying for the eBook). If you are not a one that has already decided to get it - you still have a chance.